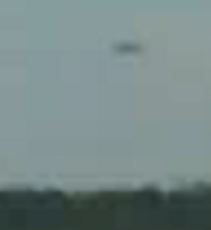 Latest UFO sightings – This footage was made in New Brunswick, Canada on Friday, 11th June 2010. Author claims that it shows some kind of daytime UFO hovering over crop circle. was the camra man suffering from parkinsons? how hard is it to hold a camra steady and zoom in for Gawds sake! Actually it looks like the Blimp the have hovering above Limestone Maine and you can see it from New Brunswick and looks exactly the same as in the video, That must have been taken somewhere along Grand Falls New Brunswick area.